You are here: Home > UBER Barber: Style Your MO On The Go! UBER Barber: Style Your MO On The Go! 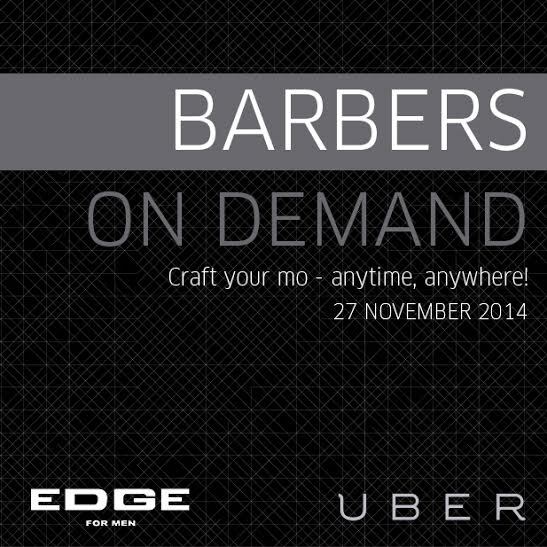 To celebrate the end of Movember, Uber is bringing the awesome barbers from EDGE for Men, right to your door. That’s right gents, get that Mo looking slick in style – no home clippers, nasty cuts or having to tap that razor against the basin five times before you can shave properly again. You know exactly what we’re talking about. 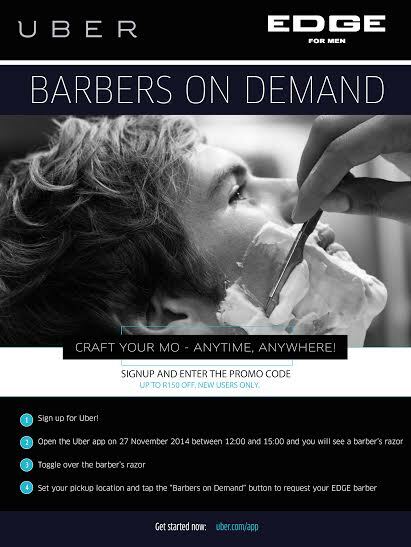 Male riders in Cape Town will be able to open the Uber app and request a Barber on Demand, just like you would normally request a car. The EDGE barbers will come to you, wherever you are – at home, the office, the sports field, or even on the pavement – it’s up to you. They will create a slick set up complete with a barber’s chair and rug. They will give you a hot towel shave, crafting your Mo to the max, all while you sip on ice cold craft beer. That’s not all, riders who request a Barber on Demand will also get a great pamper pack to take away with them including products from Bluebeards Revenge and vouchers for EDGE for men. What a perfect way to prep your face for the Movember Gala event happening on the same night in Cape Town! So gents, get those beards and tash’s ready. And ladies, encourage your man to take up this opportunity – we Mo you want to!!! Sign Up For UBER [click here] and receive R90 free credit! Demand will be high, so if you are not successful the first time – keep on trying! 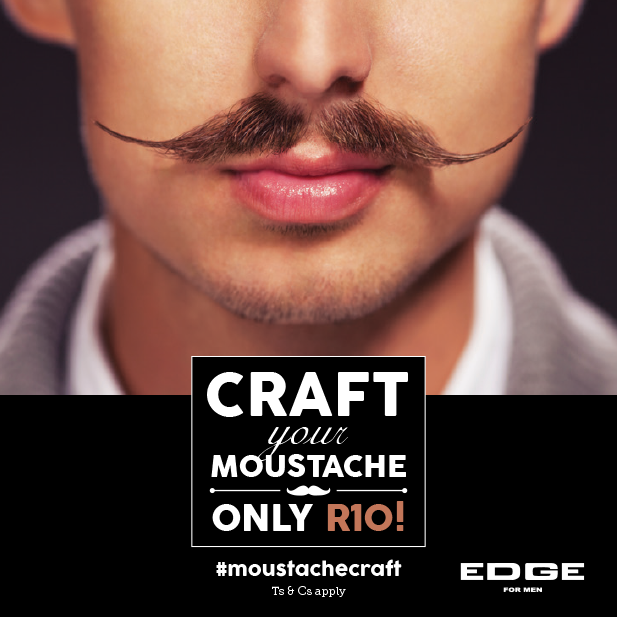 In other news the guys from EDGE For MEN are running an epic proMO right up until 30 November if you can’t find time to get your MO sculpted on the day! It’s only R10 and all proceeds will go to charity! Sound good? Read more after the jump! A “moustache craft” includes the use of clippers and scissors, but excludes the cutthroat razor. EDGE will remove any amount of facial hair you desire, with the exception of your moustache. That, my good sir, would be cheating. And no one likes a cheater – especially not the brotherhood of moustache-boasting men that go “shave-free” every November. Support a good cause (“Movember”) by growing a moustache, and allow EDGE to keep your moustache looking good and bushy for the thirty days of freedom you allow it. Enjoy a coffee or cold beer with every #moustachecraft ordered. Valid 1 – 30 November. Booking essential.